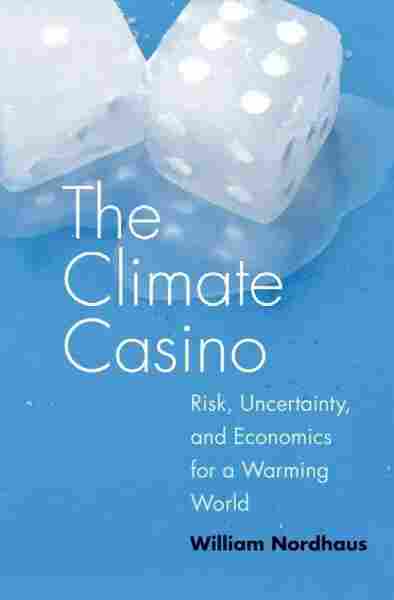 The Climate Casino NPR coverage of The Climate Casino: Risk, Uncertainty, and Economics for a Warming World by William Nordhaus. News, author interviews, critics' picks and more. February 11, 2014  Yale's William Nordhaus has been running the numbers on Earth's climate troubles. He says charging a fair price for any dumping of carbon dioxide into the air is a cost-effective solution. But at least half the planet must cooperate, his math suggests, or it will be all pain, no gain. The last decade was the warmest on record. The most inconvenient fact is the lack of global warming for well over 10 years now. Polar bears could disappear within a century. Global warming claims are a hoax. The Greenland ice sheet has experienced record melting. Clearly, global warming is getting a lot of attention today. And just as clearly, people disagree about whether it is real, whether it is important, and what it means for human societies. What should the interested citizen conclude from these conflicting stories? And if the answer is that global warming is real, how much does it matter? Where should our concerns about global warming rank among the other issues we face, such as persistent unemployment, a soaring public debt, low-intensity wars, and nuclear proliferation? The short answer is that global warming is a major threat to humans and the natural world. 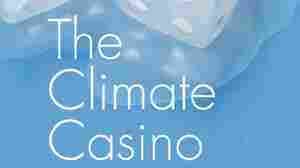 I will use the metaphor that we are entering the Climate Casino. By this, I mean that economic growth is producing unintended but perilous changes in the climate and earth systems. These changes will lead to unforeseeable and probably dangerous consequences. We are rolling the climatic dice, the outcome will produce surprises, and some of them are likely to be perilous. But we have just entered the Climate Casino, and there is time to turn around and walk back out. This book describes the science, economics, and politics involved — and the steps necessary to undo what we are doing. Global warming is one of the defining issues of our time. It ranks along with violent conflicts and economic depressions as a force that will shape the human and natural landscapes for the indefinite future. Global warming is also a complex subject. It spans disciplines from basic climate science, ecology, and engineering to economics, politics, and international relations, and the result is a book with many chapters. Before embarking on an extended journey, readers may find it useful to look at a map of what lies ahead. Here are the major themes discussed in the five parts that follow. Part I surveys the science of global warming. Climate science is a dynamic field, but the essential elements have been developed by earth scientists over the last century and are well established. The ultimate source of global warming is the burning of fossil (or carbon-based) fuels such as coal, oil, and natural gas, which leads to emissions of carbon dioxide (CO2). Gases such as CO2 are called greenhouse gases (GHGs). They accumulate in the atmosphere and stay there for a long time. Higher atmospheric concentrations of GHGs lead to surface warming of the land and oceans. The initial warming effects are amplified through feedback effects in the atmosphere, oceans, ice sheets, and biological systems. The resulting impacts include changes in temperatures as well as impacts on temperature extremes, precipitation patterns, storm location and frequency, snow packs, river runoff, water availability, and ice sheets. Each of these will have profound impacts on biological and human activities that are sensitive to the climate. Past climates — varying from ice-free to snowball earth — were driven by natural sources. Current climate change is increasingly caused by human activities. The major driver of global warming is the emissions of CO2 from the burning of fossil fuels. CO2 concentrations in the atmosphere were 280 parts per million (ppm) in 1750 and have reached 390 ppm today. Models project that, unless forceful steps are taken to reduce fossil fuel use, they will reach 700–900 ppm by 2100. According to climate models, this will lead to a warming averaged over the globe in the range of 3–5°C by 2100, with significant further warming after that. So unless there is either a major slowdown in economic growth or strong steps to curb CO2 emissions sharply, we can expect continued accumulations of CO2 emissions in the atmosphere — and the resulting global warming with all its consequences. Part II analyzes the impacts of climate change. The major concerns are not temperature per se but the effects on human and natural systems. A central concept in analyzing impacts is whether a system can be managed. The non-agricultural sectors of high-income countries are highly managed, and this feature will allow these sectors to adapt to climate change at relatively low cost for at least a few decades. However, many human and natural systems are unmanaged or unmanageable and are highly vulnerable to future climate change. While some sectors or countries may benefit from climate change, there are likely to be significant disruptions in areas that are closely tied to climate-sensitive physical systems. The potential damages are likely to be most heavily concentrated in low-income and tropical regions such as tropical Africa, Latin America, coastal states, and the Indian subcontinent. Vulnerable systems include rain-fed agriculture, seasonal snow packs, coastal communities, river runoffs, and natural ecosystems. There is potential for serious impacts in these areas. Scientists are particularly concerned about "tipping points" in the earth's systems. These involve processes in which sudden or irreversible changes occur as systems cross thresholds. Many of them operate at such a large scale that they are effectively unmanageable by humans with existing technologies. Four important global tipping points are the rapid melting of large ice sheets (such as Greenland), large-scale changes in ocean circulation such as the Gulf Stream, feedback processes where warming produces more warming, and enhanced warming over the long run. These tipping points are particularly dangerous because they are not easily reversed once they are triggered. Part III discusses the economic aspects of strategies to slow climate change. There are several potential strategies for slowing climate change, but the most promising is "mitigation," or reducing emissions of CO2 and other GHGs. Unfortunately, this approach is expensive. Studies indicate that it will cost in the range of 1–2 percent of world income ($600–1,200 billion annually at today's level) to attain international climate targets, even if this is undertaken in an efficient manner. While some miraculous technological breakthroughs might conceivably be discovered that can reduce the costs dramatically, experts do not see them arriving in the near future. The economics of climate change is straightforward. When we burn fossil fuels, we inadvertently emit CO2 into the atmosphere, and this leads to many potentially harmful impacts. Such a process is an "externality," which occurs because those who produce the emissions do not pay for that privilege, and those who are harmed are not compensated. One major lesson from economics is that unregulated markets cannot efficiently deal with harmful externalities. Here, unregulated markets will produce too much CO2 because there is a zero price on the external damages of CO2 emissions. Global warming is a particularly thorny externality because it is global and extends for many decades into the future. Economics points to one inconvenient truth about climate-change policy: For any policy to be effective, it must raise the market price ofCO2 and other GHG emissions. Putting a price on emissions corrects for the underpricing of the externality in the marketplace. Prices can be raised by putting a regulatory tradable limit on amount of allow able emissions ("cap and trade") or by levying a tax on carbon emissions (a "carbon tax"). A central lesson of economic history is the power of incentives. To slow climate change, the incentive must be for everyone — millions of firms and billions of people spending trillions of dollars — to increasingly replace their current fossil-fuel-driven consumption with low-carbon activities. The most effective incentive is a high price for carbon. Raising the price on carbon will achieve four goals. First, it will provide signals to consumers about which goods and services are carbon intensive and should therefore be used more sparingly. Second, it will provide signals to producers about which inputs are carbon intensive (such as coal and oil) and which use less or no carbon (such as natural gas or wind power), thereby inducing firms to move to low-carbon technologies. Third, it will give market incentives for inventors, innovators, and investment bankers to invent, fund, develop, and introduce new low-carbon products and processes. Finally, a carbon price will economize on the information that is required to undertake all these tasks. Part IV examines the central questions of climate-change policy: How sharply should countries reduce CO2 and other GHG emissions? What should be the time profile of emissions reductions? How should the reductions be distributed across industries and countries? What policy tools — taxes, market-based emissions caps, regulations, or subsidies — are most effective? It is tempting to set climate objectives as hard targets based on climate history or ecological principles. The simple target approach is unworkable because it ignores the costs of attaining the goals. Economists advocate an approach known as cost-benefit analysis, in which targets are chosen by balancing costs and benefits. Because the mechanisms involved in climate change and impacts are so complex, economists and scientists rely on computerized integrated assessment models to project trends, assess policies, and calculate costs and benefits. One major finding of integrated assessment models is that policies to slow emissions should be introduced as soon as possible. The most effective policies are ones that equalize the incremental or marginal costs of reducing emissions in every sector and every country. Effective policies should have the highest possible "participation"; that is, the maximum number of countries and sectors should be on board as soon as possible. Free riding should be discouraged. Moreover, an effective policy is one that ramps up gradually over time — both to give people time to adapt to a high-carbon-price world and to tighten the screws increasingly on carbon emissions. While all approaches agree on the three central principles — universal participation, equalizing marginal costs in all uses in a given year, and increasing stringency over time — there are big differences among analysts on the stringency of policies. Our analysis suggests that policy should aim for limiting temperature to a range between 2°C and 3°C above pre-industrial levels (here taken to be the 1900 temperature) depending upon costs, participation rates, and discounting. The lower target is appropriate if costs are low, participation rates are high, and the discount rate on future economic impacts is low. A higher target would apply for high costs, low participation rates, and high discounting. An effective policy must necessarily be global in scope. Earlier treaties (such as the Kyoto Protocol) were in effective because they provided no incentives to encourage participation. Countries have strong incentives to free ride on the efforts of others because emissions reductions are local and costly while the benefits are diffuse and distant over space and time. An effective global arrangement will need an effective mechanism to encourage participation and discourage free riding. The most promising approach is to impose import tariffs on the products and services of nonparticipants. This will be sufficiently burdensome that it will encourage most countries to participate in an international climate regime. As Part V discusses, a realistic appraisal must recognize the high hurdles on the road to effective policies to slow global warming. Even though climate scientists have made great strides in understanding the basic trends, it has proven difficult to implement policies to slow climate change. One major reason for the slow progress is the nationalist dilemma, which leads to free riding. Countries that do not participate in a global agreement to reduce emissions get a free ride on the costly abatement undertaken by other countries. This incentive leads to a non-cooperative free-riding equilibrium in which few countries undertake strong climate-change policies — a situation that closely resembles the current international policy environment. They speak loudly but carry no stick at all. A link whereby nonparticipants are penalized through international trade tariffs would help alleviate the free-riding syndrome. Additionally, there is a tendency for the current generation to ride free by pushing the costs of dealing with climate change onto future generations. Generational free riding occurs because most of the benefits of emissions reductions today would accrue many decades in the future. The double free-riding difficulties are aggravated by interest groups that muddy the water by providing misleading analyses of climate science and economic costs. Contrarians highlight anomalies and unresolved scientific questions while ignoring the strong evidence supporting the underlying science and current projections of climate change. The need to introduce effective policies has been particularly difficult in the United States, where ideological opposition has hardened even as the scientific concerns have become increasingly grave. Excerpted from The Climate Casino by William Nordhaus. Copyright 2013 William Nordhaus. Excerpted by permission of Yale University Press. All rights reserved.